For $650 the new GALAX GeForce GTX 980 Ti OC graphics card is now available to purchase both in the US and through Europe priced at €659.99. The overclocked graphics card is being sold in select markets under the KFA2 brand and is equipped with a metallic cooler fitted with triple fans and 6 heat-pipes to keep this monster cool. For extra processing power the powerful card is supplied factory overclocked offering a 1025 MHz base clock and 1114 MHz GPU Boost clock if you are looking to push the card to its limits and gain maximum performance. 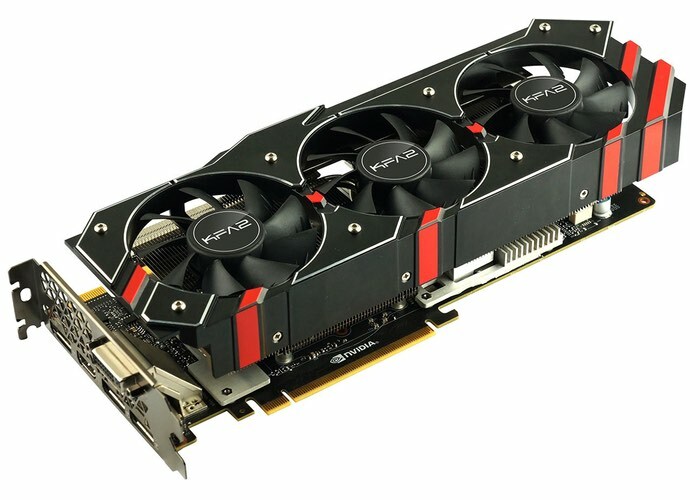 As with other GTX 980 Ti graphics cards, the GALAX GeForce GTX 980 Ti OC offers owners 2,816 CUDA cores, 176 TMUs, 96 ROPs, and 6GB of GDDR5 video memory to help enjoy those games or Virtual reality environments that require extra processing power.